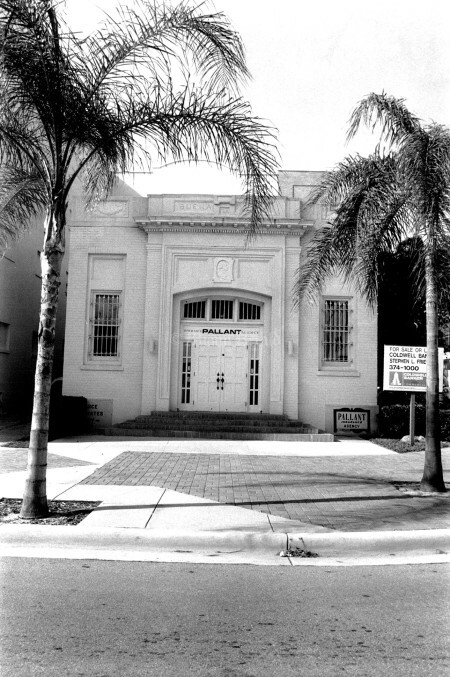 The historic district of Buena Vista started as a pineapple plantation that became a town with its own town hall and post office. 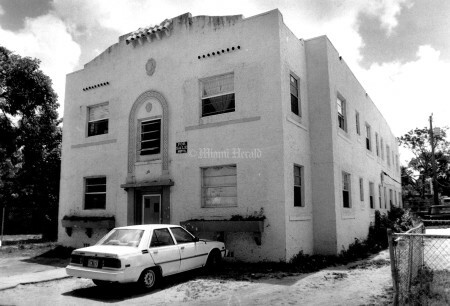 It once was home to ambassadors, business magnates and doctors, and frequented by novelists and Miami’s elite. In the 1920s, wealthy residents built estates of mosaic tile, coral rock and Dade County pine that featured ornate Mediterranean courtyards surrounded by mango and avocado groves and royal poincianas. 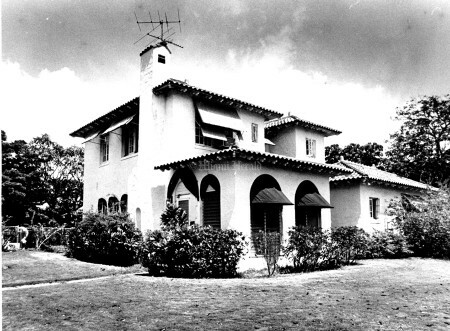 Just 10 minutes from downtown and a few blocks from Biscayne Bay, between Northeast 42nd and 49th streets and Northeast Second and Miami avenues, Buena Vista East used to be a busy stop for the Florida East Coast Railway. 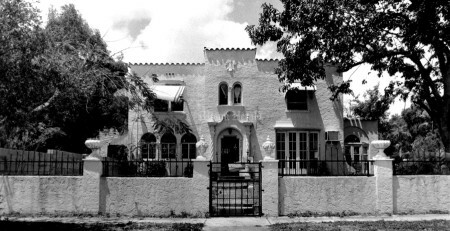 Most Buena Vista homes were built with care and flair, each with a singular style: Mediterranean Revival, Mission, Pueblo, Bungalow, Masonry Vernacular, Art Deco. Its decline began in the late ’60s, instigated by the building of I-95, white flight and poor immigration. 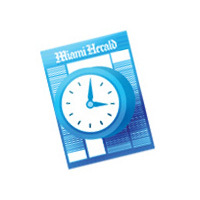 With the help of a small, active group of homeowners and the recent success of surrounding commercial districts, particularly the Design District and Midtown, the area has experienced a resurgence. 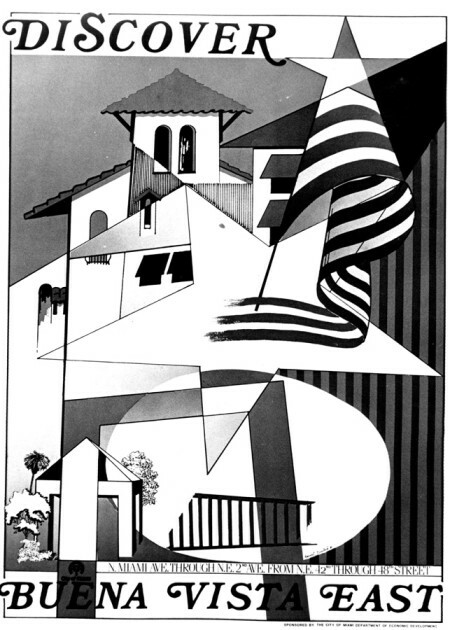 5/15/1986: Buena Vista. 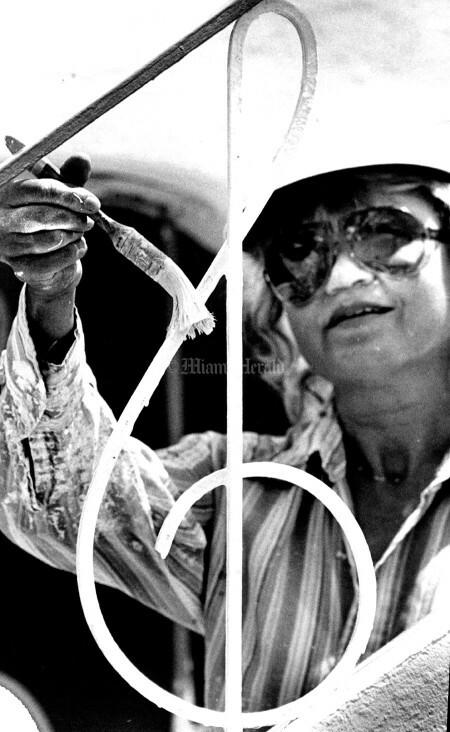 Lisa Chutro paints the railings on her apartment complex at 126 NE 44th Street. 12/16/1982: Member of the Miami Pioneers Club meet at a Buena Vista home. 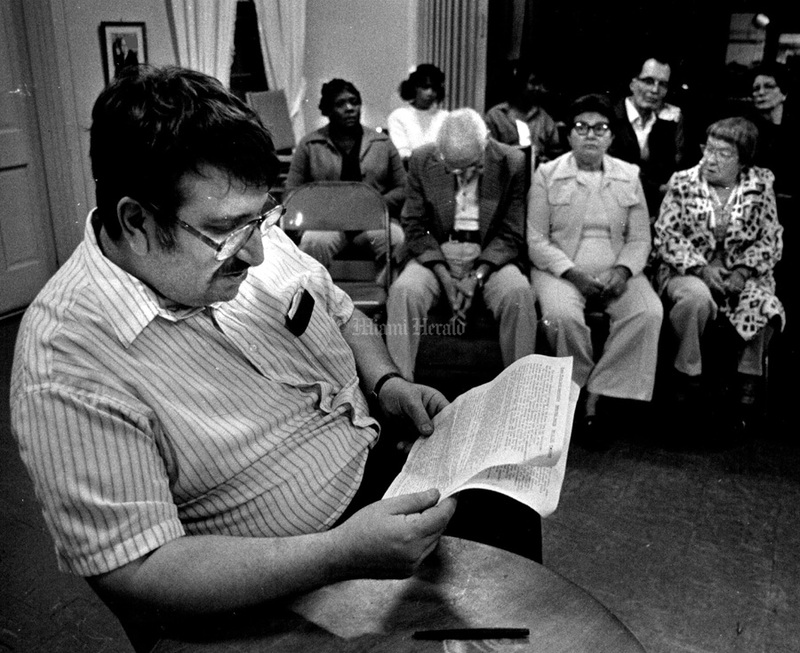 1/3/1982: Richard Rosichan, spokesman for the Buena Vista East Association, at meeting. 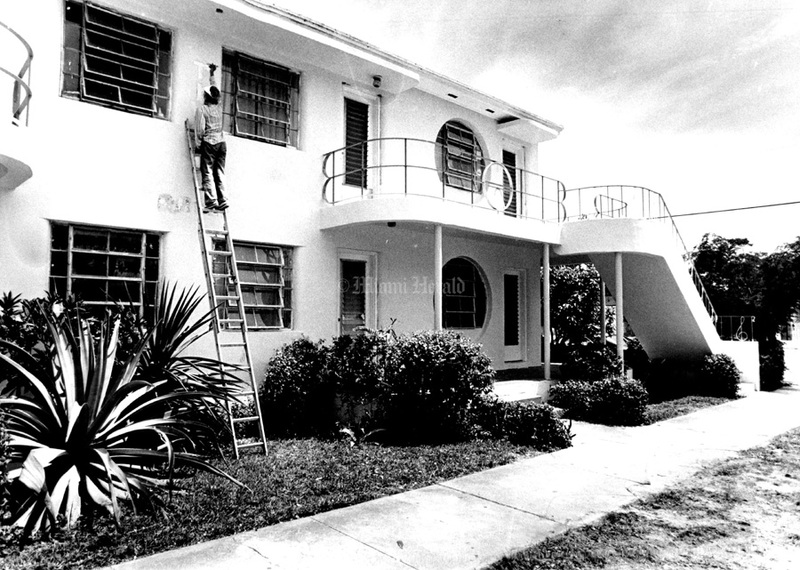 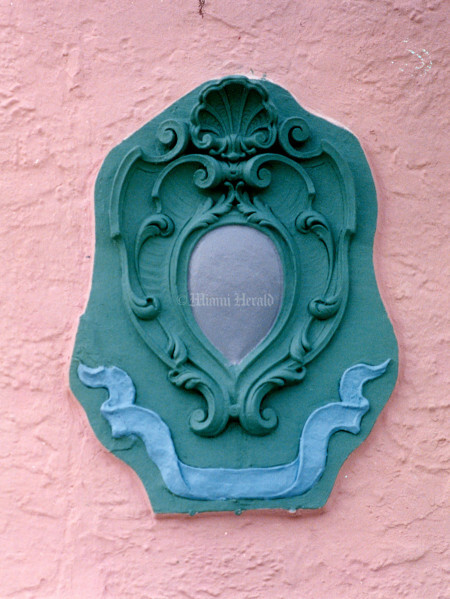 4/19/1991, Marice Cohn Band/Miami Herald: Detail of house 178 NE 45th St. in Buena Vista neighborhood. Undated: Abandoned home in Buena Vista neighborhood. 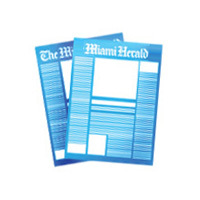 10/2/1987, Rick McCawley/Miami Herald: Area in the process of being declared a historic District. 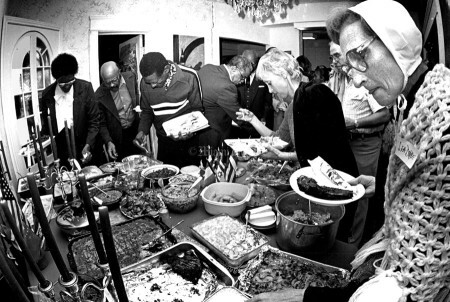 5/15/1986: Buena Vista. 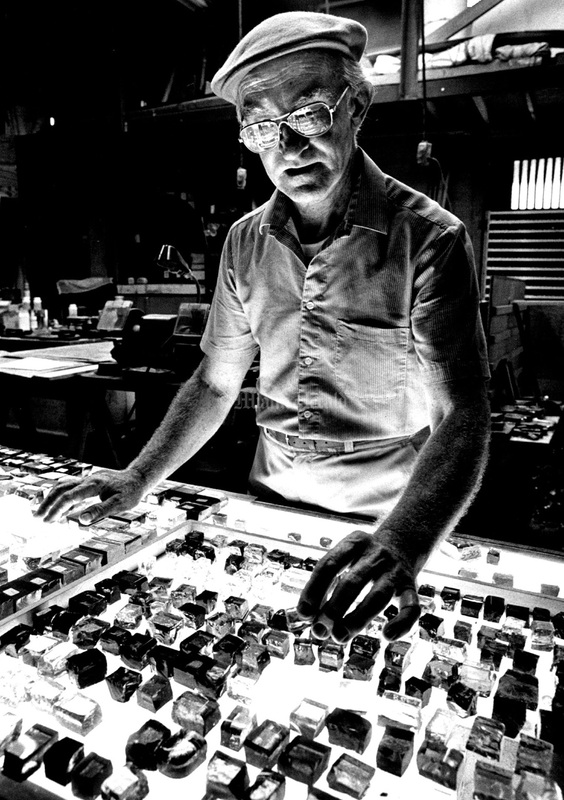 Stain glass artist Karel Dupre stands over his stain glass color samples which sit on top of a light table. Mr. Dupre bought his four- bedroom, two-bath home for $29,200 in 1977. He converted the carriage house into his workroom and rents out the chauffeur's quarters. 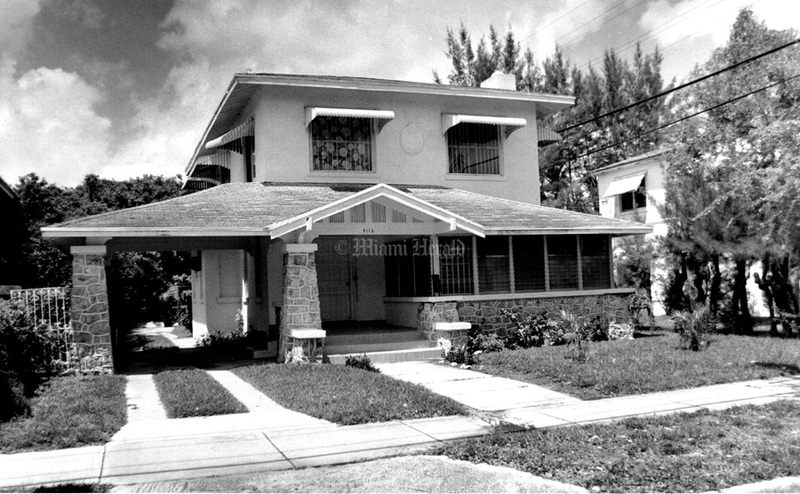 In nine years, the house, which has floors of both oak and Dade County pine, has tripled in value. 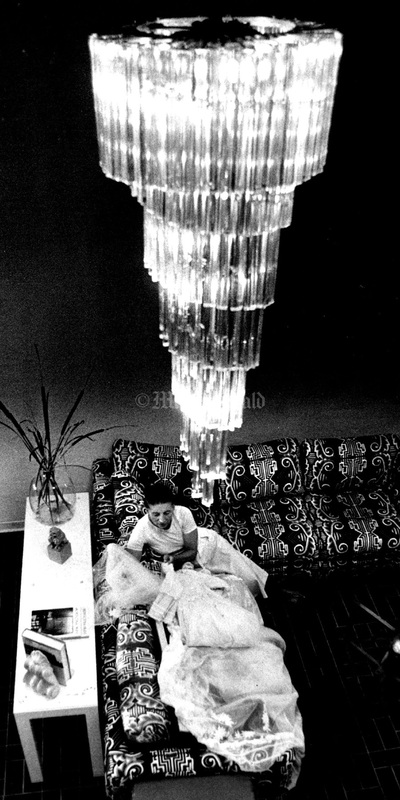 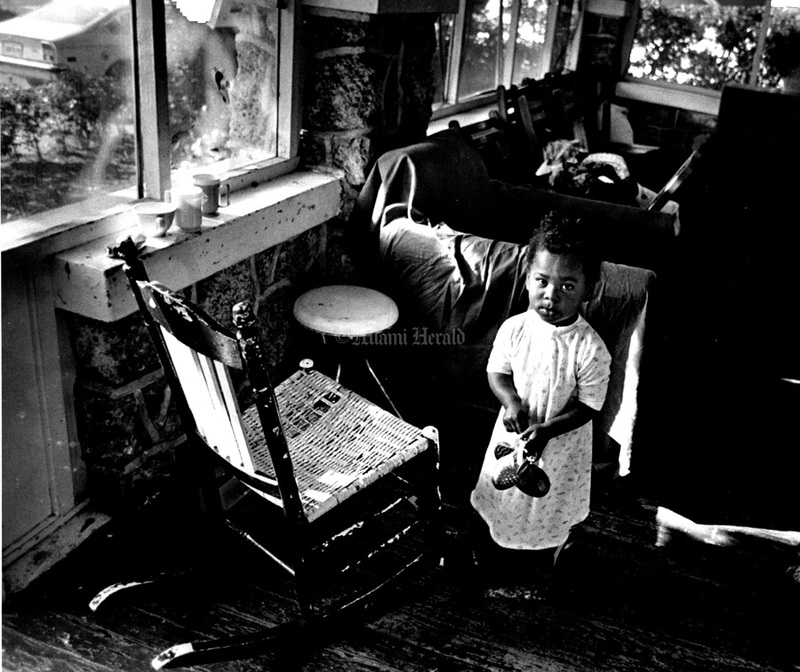 5/17/1981, Carol Guzy/Miami Herald: Annette Kaye in her Buena Vista home. 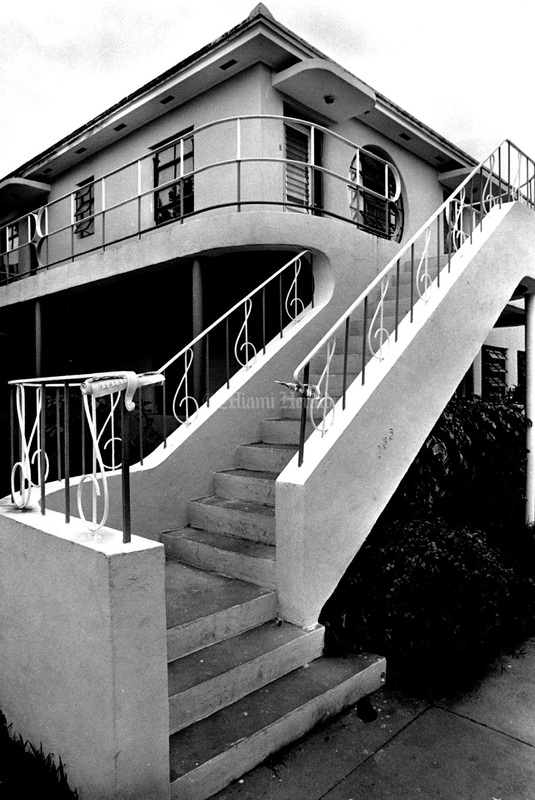 Undated: Home in Buena Vista neighborhood. 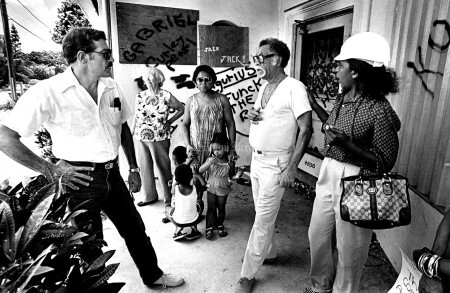 8/11/1983, Robin Shields/Miami Herald Staff: Jerry Braunfeld, former president of the Buena Vista East Neighborhood Association; Laverne Cole, Mary Wade, Stephen Young and Jane Herrera talk about their unhappiness over building allocation. They wanted to house some offices there -- three neighborhood and homeowners associations, the Edison Crime Prevention Sub-Council and the Miami Civic League -- along with Upgrove Theater Inc. and possibly other cultural organizations. 3/26/1991, Marice Cohn Band/Miami Herald: The onetime Buena Vista town hall, built in 1921 at Northeast 40th Street and Northeast Second Avenue, spent time as a post office, a municipal courthouse, a tire store and is now Pallant Insurance. 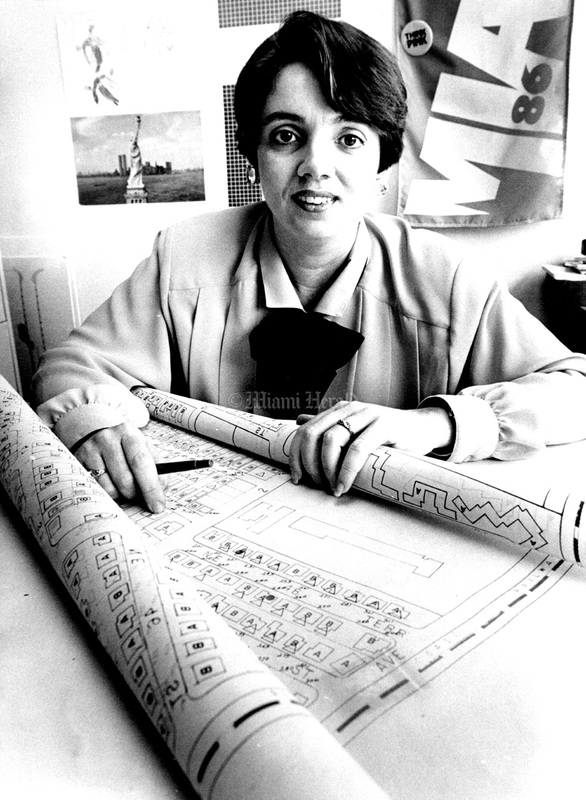 5/15/1986: Margarita Geneva Cordovi, planner for the city of Miami, with plans depicting Buena Vista East. 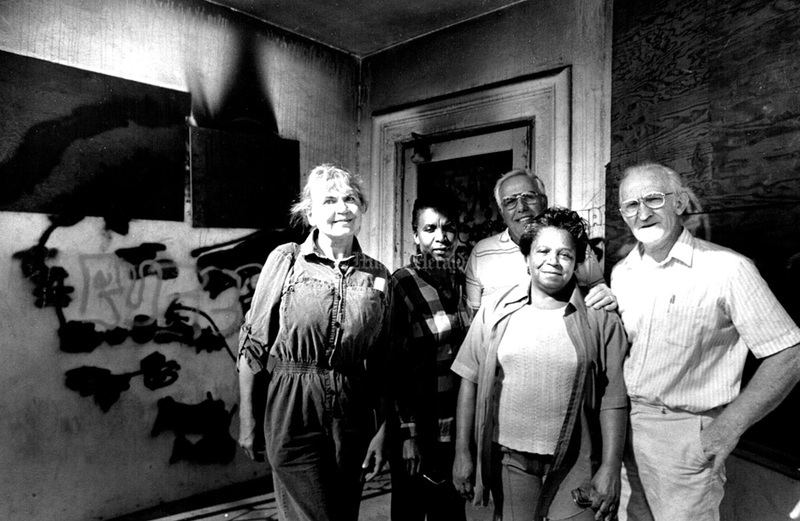 4/15/1988, Rick McCawley/Miami Herald: Lisa Chutro, Jane Herrera, Tom Springer, Mary Wade, Karel Dupre -members of the Buena Vista East Association- at 4850 NE 2nd. Ave.
5/17/1981, Carol Guzy/Miami Herald: Michael Vital, 3-yr-old grandson of Estela Vital, a Miami Beach hotel maid. Estela's nine children and several grandchildren rent a home on NE Miami St.
5/15/1986: Lisa Chutro paints apartment complex at 176 NE 44 St.
5/15/1986: Buena Vista East Poster done by artist Karel Dupre. 5/15/1986: A Buena Vista home at the 133 NE 7th Street.